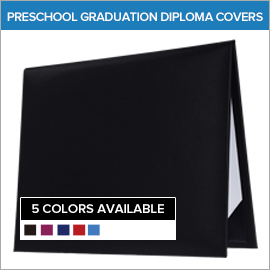 Your little scholar’s Preschool Diploma can be safely stored in one of our stylish Diploma Covers. 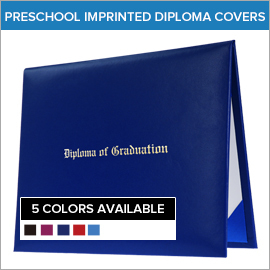 Gradshop.com stores a full product line of graduation diploma covers and they are also known as certificate holders. 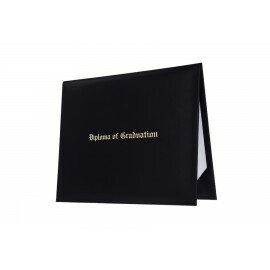 We have Blank Diploma Covers, Imprinted Diploma Covers, and we offer Custom Diploma Covers for the whole graduating class! 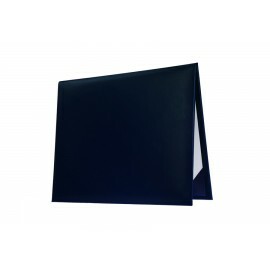 Our diploma cover product line features the most popular colors which include black, red, maroon, navy blue, and royal blue. These are made from premium stock leatherette bound material and the corners have silk folded ribbons to add a touch of elegance. All of our diploma covers have padding inside and interior silk and satin panels. We cannot stress the importance of protecting your child’s Preschool Diploma whether you use a diploma cover, certificate holder, or an award holder, it’s imperative that you help protect what your child has achieved so early in life. We cover all the bases from beginning to end! Your child’s academic journey begins with Preschool, Kindergarten, Elementary, Middle School, High School, and continues to College. Please take a moment to view our full line of Diploma Frames. Gradshop ships all over the world, has the lowest prices, and exceptional customer service. Let one of our graduation specialists help you with your preschooler’s needs. Order in bulk and you can receive hefty discounts for large quantities. With our quick processing and shipping options, placing your order may be easily made on-line or via fax.